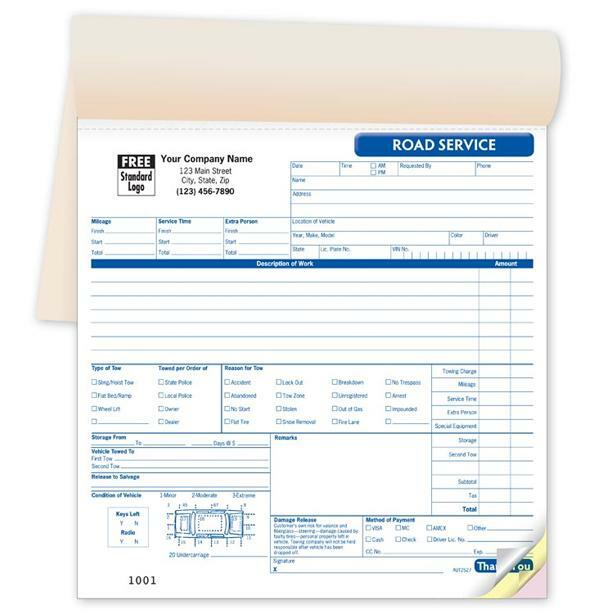 This is a small Road towing service invoice printed in a booked format. It is compact and contains all the features needed buy the tow truck business. 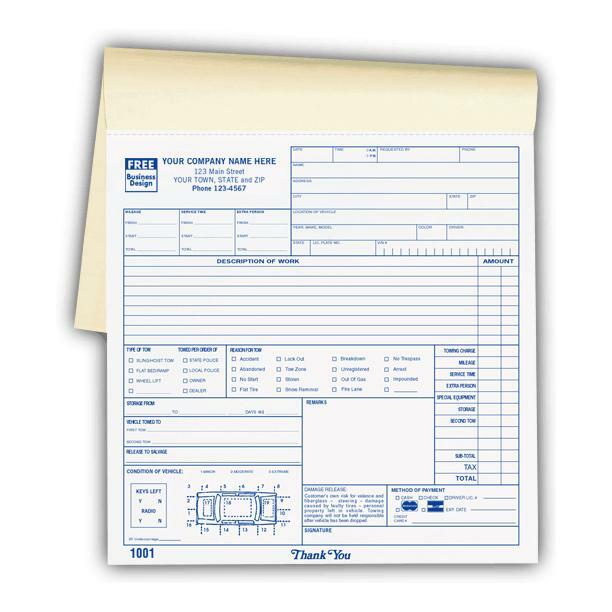 It's pre-printed sections allows you to work more efficiently. 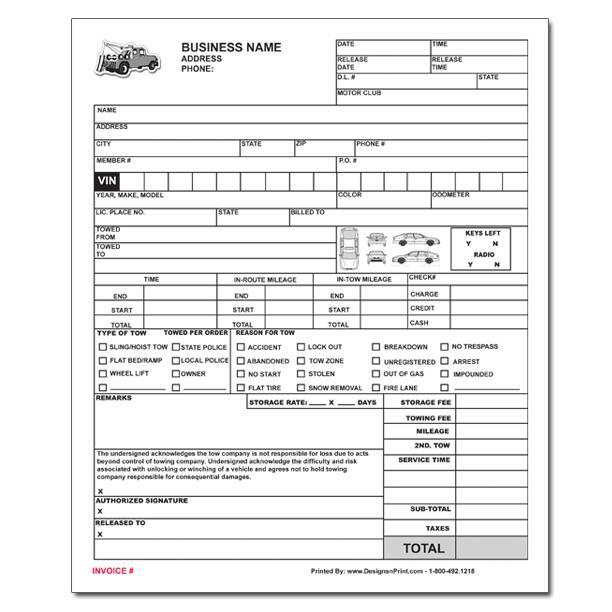 You can easily record the customer's contact details, record labor cost, materials, description of work etc. The last copy is always left behind in the book for record keeping. 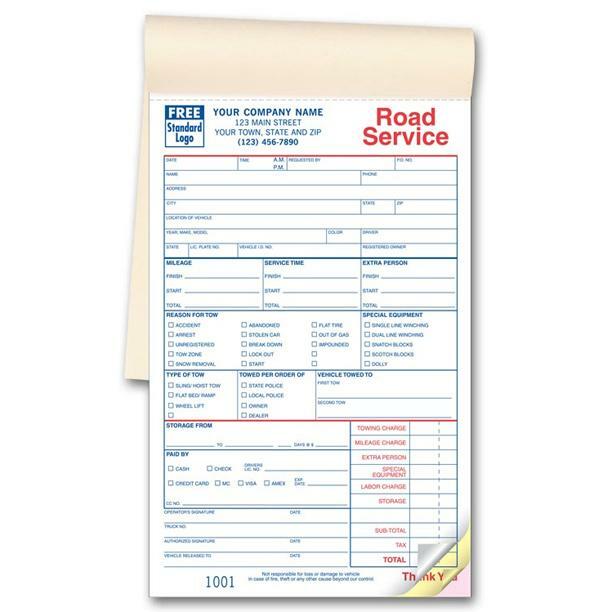 It is numbered and carbonless to ensure a smooth operation of your services. Choos from 2 parts duplicate and 3 part triplicate options.